TOP 10 reasons why live in Ecuador here. 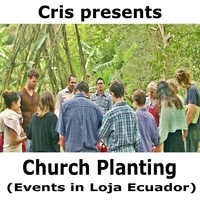 Thank you for your mission support in sharing the gospel of Jesus with the people in Loja Ecuador! Every download counts! Would you like to visit? Subscribe for more here. Vision and mission of the fellowship is that Vilcabamba Loja Ecuador will have a true church of Jesus, the Anointed One, the Christ, the Messiah, until the end of the world, the congregation of those who have been called out from this perverse generation to eternal life, will praise God, prepare the members to serve, teach all to fulfill Jesus commandments for salvation and holiness through a Bible study series and a personal life example, with a focus on children from schools, visitors who travel, key people from local business like radio, internet, buses, taxis, stores, etc. People that are truly searching for their Creator and to fulfill their purpose in life, being the best they can be, will become members and fellowship in the church of Loja.